2 Bdrm Top flr Flat. Hall. Lounge. Breakfast kitch. Bdrm. Upper flr: Bdrm. Bathrm (CT band - D). Price over £130,000 Entry by arr. Viewing 07495 934320 or contact solicitors. (EPC band - F). 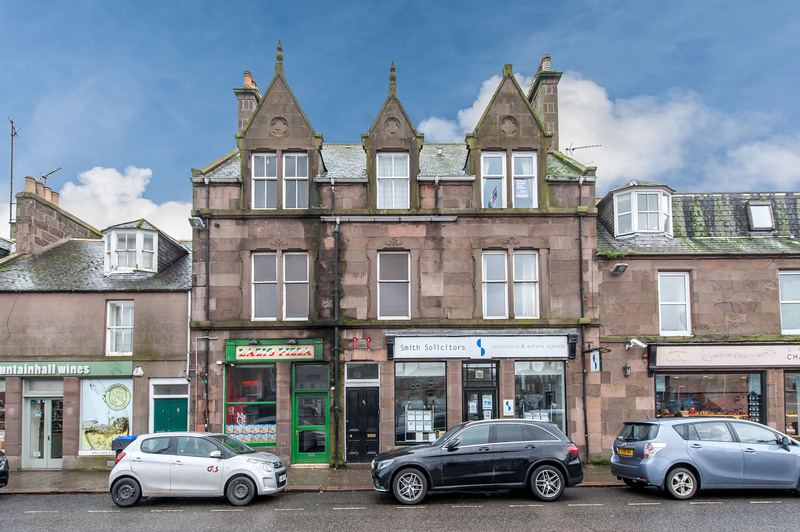 Centrally located within the charming coastal town of Stonehaven, an excellent opportunity has arisen to purchase this Superb 2 BEDROOM TOP FLOOR FLAT SPANNING 2 FLOORS and forming part of a traditional sandstone building that boasts lovely views across the Market Square. 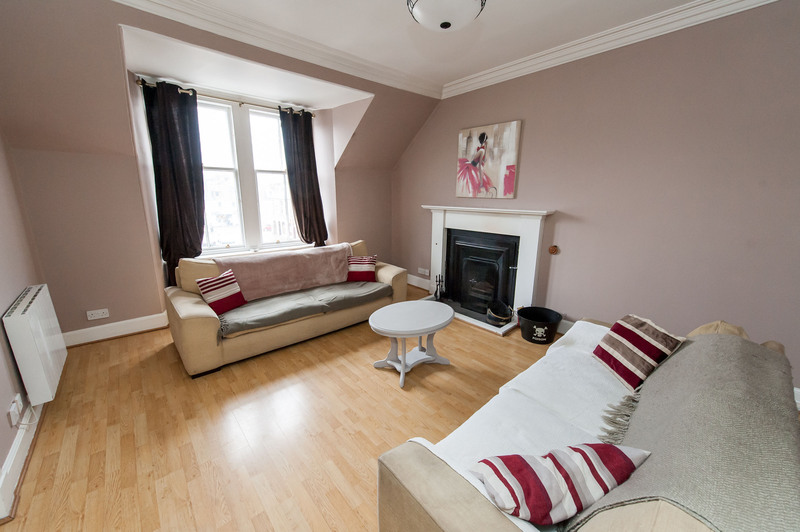 With all local amenities on hand and only a short walk to the boardwalk and picturesque harbour, this well presented and spacious property is tastefully decorated and offers many traditional features including refurbished sash and case windows, deep skirtings, cornicing and open fires in the lounge and master bedroom. Entered via a security entry system the well maintained communal hallway leads up to the second floor. Upon entering, the hallway gives access to all accommodation. 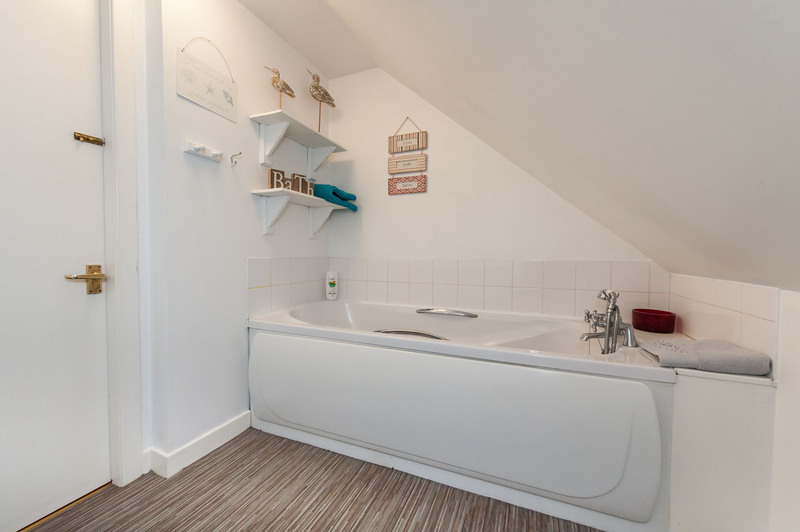 A large cupboard houses the hot water tank and provides excellent storage facilities. The bright and spacious lounge enjoys great views over the Market Square through two picture sash and case windows and a cast iron open fireplace provides a focal point in this lovely room. The modern breakfasting kitchen has been fitted with a range of units in a neutral finish with solid oak work surfaces incorporating a belfast sink and taps. 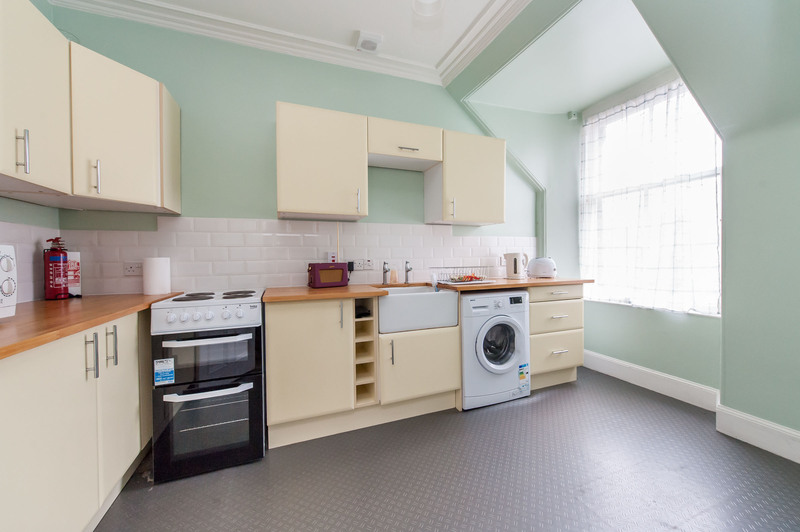 The cooker, fridge freezer and washing machine are included in the sale and there is ample space for a dining table and chairs. 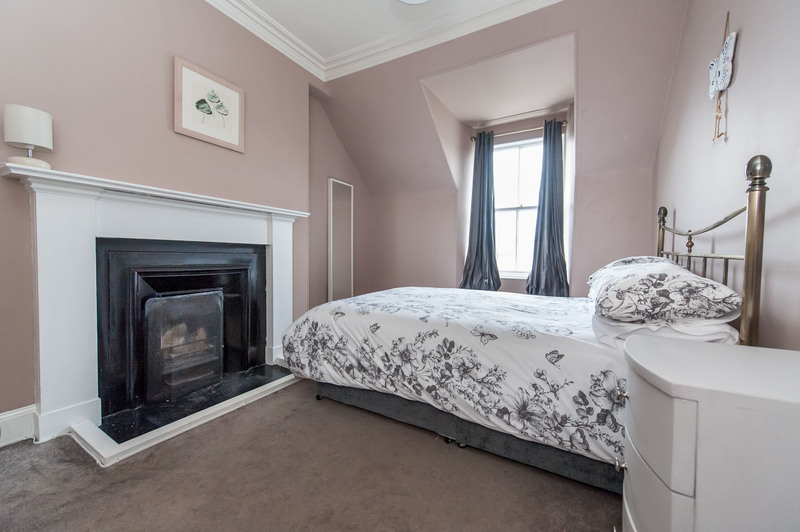 Double bedroom one is located to the rear of the property and also benefits from a traditional open fire set in a cast iron fireplace. A feature wooden staircase leads to the upper floor with a window on the half landing flooding the area with natural light. 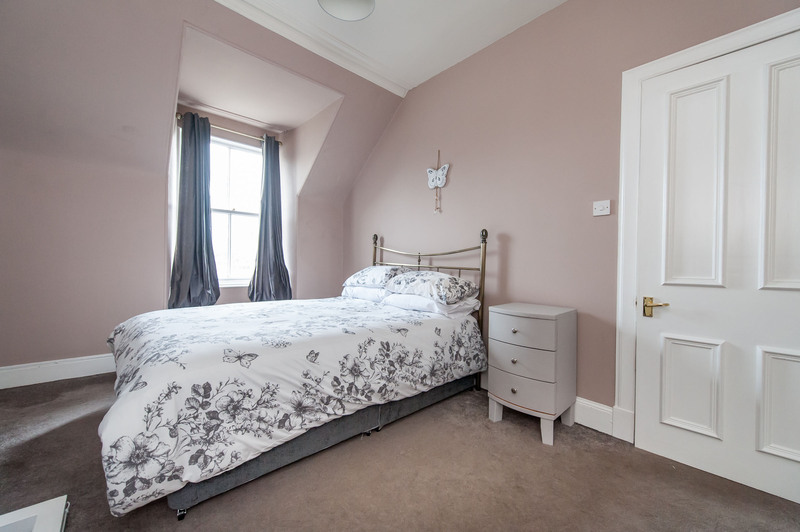 Bedroom two is a well proportioned double with dual aspect windows benefiting from views to the war memorial at the rear and over the Market Square and open countryside, to the front. 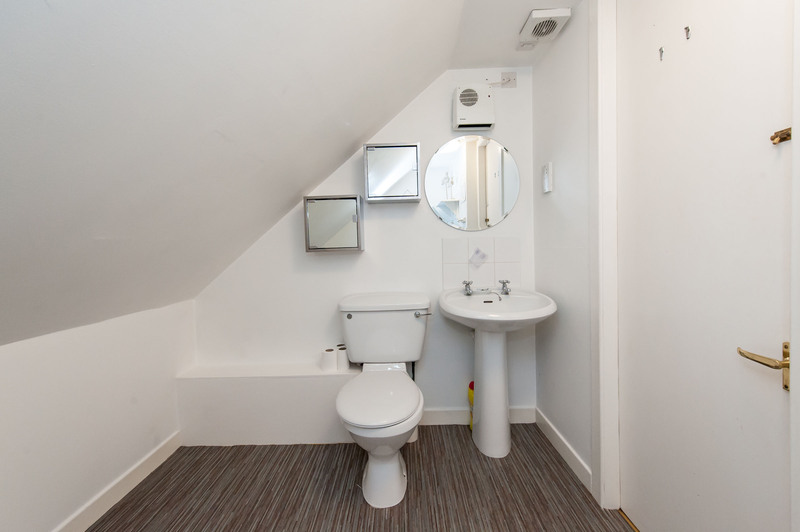 Completing the accommodation is a modern bathroom fitted with a 3 piece suite with shower attachment. Outside there is a shared courtyard area to the rear. 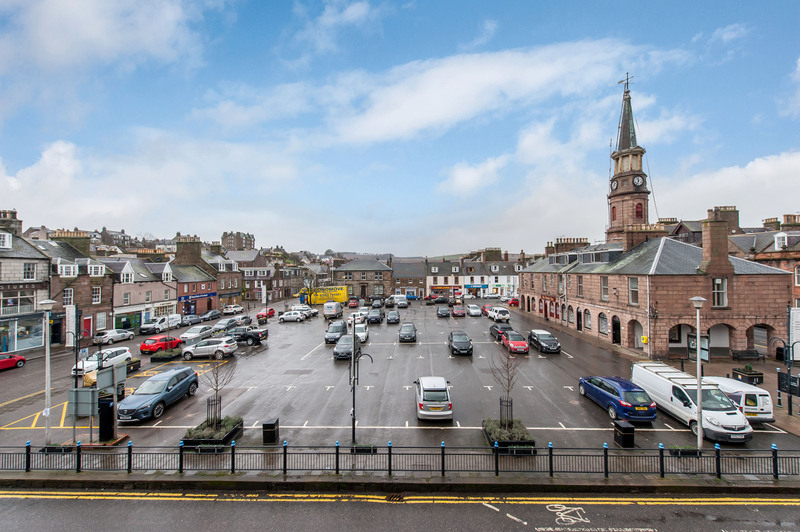 Parking is available for residents in the Market Square with parking permits available upon application from Aberdeenshire Council. 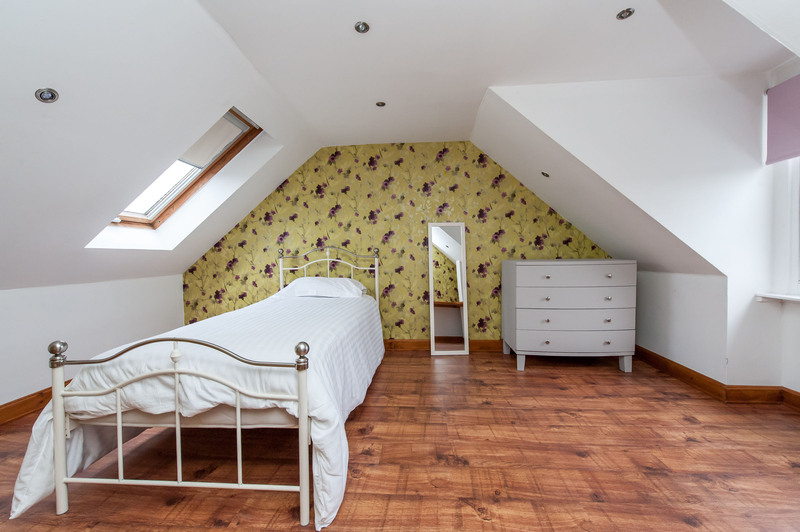 GENERAL - the property is served by electric heating and single glazed traditional sash and case windows which were refurbished in 2014. 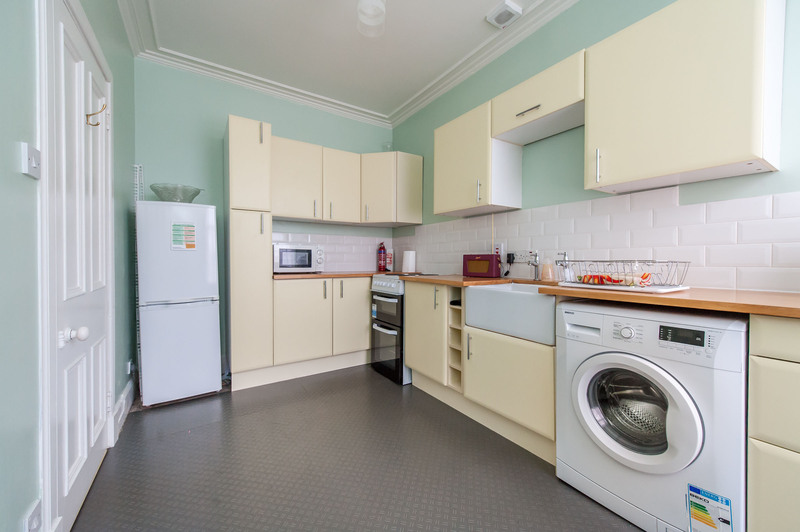 Included in the sale are carpets, floorcoverings, curtains, blinds and light fittings along with the cooker, fridge freezer and washing machine in the kitchen. DIRECTIONS From Aberdeen travel south on the A90 dual carriageway taking the first slip road into Stonehaven. Continue into Stonehaven taking the last exit on the right at the roundabout. Continue along the main street until reaching Market Square on the right hand side. No. 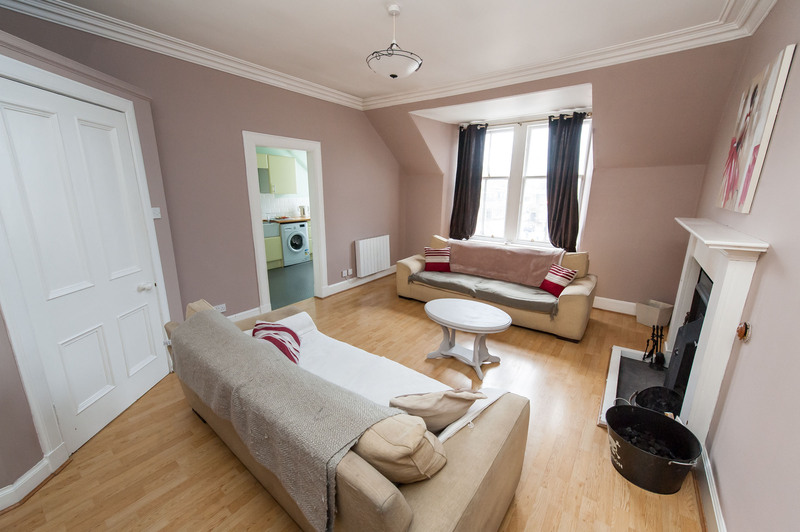 9D is situated on the far side of the Square and is clearly identified by our For Sale Sign.